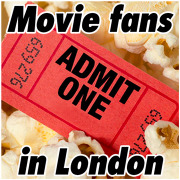 We want to share our movie experience, so we book a group of tickets so that we can all sit together. And we arrange food and drinks before/after the cinema so that we can all make friends and chat about the movie. Food and Drink Tastings - to learn and to mingle!